Lekce angličtiny obsahující výraz Write. 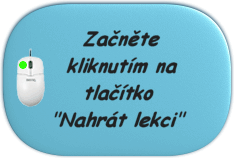 Write.=Napiš. My name is ...=Jmenuji se ... toothbrush=kartáček na zuby head=hlava mouse=myš red=červený Sit down.=Sedni si. watch=hodinky toothbrushes=kartáčky na zuby foot=chodidlo desk=lavice Hi.=Ahoj. thick=tlustý, silný board=tabule it's, it is=to je, je It means ...=To znamená ... mouth=ústa big=velký new=nový Where are you from?=Odkud jsi? nose=nos eye=oko dog=pes under=pod Listen.=Poslouchej. Použití pojmu Write. ve větách. Distaste was written over her face in a dozen tight places. The tale on his abdomen, written in a fine, cursive style. Here then are the stories written on the Book of Blood. Upstairs, the water jug in the writing room shattered. Johansson herself had written several more articles. He gave a noncommittal answer and kept writing. So he continued to write his life, and waited. And little boy Lacey? He was written on water. It was not unknown, to write a book of blood. The whole delivery had to be written off. The giant was writhing on the floor. How to Write a Curriculum Vitae. Write my name in his casebook. And I want it in writing. Can t write, sir.